If you managed to miss the world tour, the first round of finalists or the final round of finalists, then consider yourself lucky that you don’t have to read the thousands of words that have been written about the project. In short, I decided to have a contest to select 4-5 people to tour the world researching, writing, photographing and making videos of body modification around the world. I got it narrowed down to the last 10 folks and I needed help to decide who would take the final positions. I asked people to make videos our of “a day in their life”. The assignment was to make a video, write a blog post and take some photographs to recreate what we’ll be doing on the trip. As you know, I posted about the final 10 the other day when I had decided it was too hard to make my choice without giving the potential team members one final assignment. Ferg and I had been chatting about how to get around Australia when he suggested the train ride out to Perth, which I would love to do. His worry was that it would take two days of our valuable time and I told him 2 days over the course of 3 months wouldn’t be a big deal for an amazing train ride. Have I mentioned I love trains? It suddenly dawned on him that the trip was actually 3 months and not 6 weeks like he’d thought. He emailed me a few days later to withdraw from the competition. I’m sad to see him go but I know that he has an amazing tour of his own (not to mention what he’s been doing for years!) so I know he won’t be missing out. People have asked that I consider adding someone else in to take his place but I don’t want to do that because it only makes my own decisions that much harder. Here are the assignments from the final 9. In some cases the finalists included their photos in the video and in others they’re separate. Both are okay but they’re all in this post grouped by the finalists. This post is automatically scheduled to go up at Midnight Friday morning on the 5th so if you see a finalists name and a blank space, then they didn’t get their submission to me on time and they’ve been officially disqualified. Hopefully this helps me to narrow it down to the final four (or five if I can’t make up my mind, everyone is superb!). Cast your vote at the end for your FAVORITE application. Base your thoughts on everything you’ve seen so far and pick your favorite finalist. I’m only allowing one vote this time around. Good luck to everyone! The winners will be announced around Midnight Friday night. Don’t forget to help support the tour by using the coupon code worldtour and getting 30% off on almost everything in BMEshop! P.S. Sorry for the weird formatting with the photos in some of the posts below. That’s entirely my fault and I’m not sure why wordpress kept eating up and barfing out the changes that I made to photos to try to fix the layout. Click through to check out their videos and blog entries! I feel like a teacher handing out extra credit assignments but I need help to pick the winners for the BME World Tour. I’ve just narrowed it down to 10 finalists who will all need to complete an assignment. If you want to know who the finalists have been narrowed down to, you’ll have to watch the video! More information on the assignement after the jump! First, I wanted to say thank you to everyone who has sent in applications throughout February for theBME World Tour Intern Contest. I appreciate the effort that all of the applicants put into their videos and for taking the time to help me get to know each and every one of them as best as I could through their videos! Some were really fun to watch and others were a bit painful! With Jen’s help, I’ve compiled a list of the finalists. I’d like you to watch their videos and then vote at the bottom of the videos. Vote for your FAVORITE 4 applicants! You’re only allowed to vote once. This will help me to figure out who the readers of BME want to see out there on the road with me. The winners of the poll won’t automatically be the winners of the contest but it will definitely help to show who the BME community wants as well as who can get the most people over to BME and voting for them! I have been working on the logistics and may possibly end up choosing two teams to go out with me because it’s been too hard to narrow down just to four interns! These are the cream of the crop. They’ve either got great talents as writers, photographers or video editors or they just have some supremely awesome quality about them that came through in their applications or video. I really wish I could take them all! Help me to narrow it down because lord knows I can’t fit 18 of us in one suitcase! Voting closes March 1st at 12:01am PST. I’m hoping to announce the winners on March 1st so we’ve only got a couple days to get those votes in! This will get reposted daily until then! I made a really bad video to say thank you to everyone who has sent in their own videos! If you missed the initial post about BME’s world tour, you can check it out here. The short version of the contest is that BME is sponsoring a trip around the world. We’ve got 4 positions open for a writer, photographer and someone who can edit video plus a tour manager to help keep us organized while we’re out on the road. The tour manager still has to be able to blog, take photos and hold a video camera. We’ll be traveling all over Europe, Asia, Australia, New Zealand, and hopefully parts of Africa and Central/South America. Everyone needs to be able to write well enough to blog about our adventures, take photos to go along with those blogs and hold a camera steady enough to record video. Each official role means that the person assigned that role can do it “the best” out of the group. If you want to apply, please read the entire rules in the original post. I’ve had some people comment saying that it “wasn’t fair” to require that applicants submit a video audition but I wanted to show you how easy it is to apply. All you need is a camera and a couple minutes of time to talk about yourself. I’m going to post a couple of auditions now to show you that you don’t need to do anything too complicated in your auditions. I just want to see who you are and get to know a little more about you than I could in a simple text based application. The only exception would be if you’re applying for the video editor role, since you need to have more than a basic ability to edit video. So far I’ve received over 20 completed applications. I’ve got a ton of other applications but they didn’t include a video so they’re not going to be considered until they send me their application with a video! See how easy that was? You don’t have to do anything crazy, they can be simple and to the point. Remember, applications are due by midnight on February 20th, 2010! When I get it narrowed down to the finalists after February 20th, I’ll post the videos from those applicants. If it’s a close call between a couple of people then I’ll need your help to narrow it down to the winner! If you’re interested in helping us organize the tour, I’ve started a forum on my page. Send me an IM for access and let me know how you think you can help! It’s been almost 5 years since BME last had interns. I’ve decided that I’d like to do something similar to the internship contest that we had. You can read more about it here. This is a much shorter version of the intern ship and instead of relocating to beautiful La Paz, Mexico, we’ll be traveling around the world. I’m currently planning a worldwide BME tour. This will probably mean being on the road for 2-3 months. My goal is to start the tour in time to be home for the middle of June. This means we’d be hitting the road in the beginning of April. I have approximately 6 weeks to plan the trip, get sponsors, figure out the winners and then buy everyone’s tickets and book accommodations. I will also be booking the interviews that we will have scheduled. We will have at least one day off each week. This trip is all business though so if you want to do it, be prepared to take photos, talk to people and video tape interviews while we work our way around the world. The goal of the tour is to interview as many individuals from as many different cultures and locations as possible. In each city that we stop in, I want to interview at least 5 shops and collect copies of their portfolios to add to BME. In addition to interviewing Tattoo Artists, Piercers and Body Modification Artists, I want to talk to and photograph clients as well as random people that we meet on the streets. I want to see the sites that the various places we go to have to offer (yes this means playing tourist!) as well as compile video interviews along the way. I’d like to bring 4 people besides myself. That means our group will consist of 5 people total. We can get away with 4, including me but we may go to 6 if I can’t make a decision between a couple great candidates. Depending how the planning process goes, the trip may end up getting split into continents, obviously it’s always fun to think big but to make it so this really happens, we may need to scale it back and make it more affordable in terms of money, time and logistics. While I’m working on the contest and putting together the team, I’ll also be working on getting sponsorships as that will help make the tour that much more viable. I may also end up having a couple openings on the trip for multiple people to fill the various roles due to the length of the trip. I feel though that you should be able to commit at least two weeks. If you can only come out for a week, it’s not enough time to get into the groove with the rest of us. I will, however, make exceptions so please send in your audition and let me know that you’re the exception that I should make! 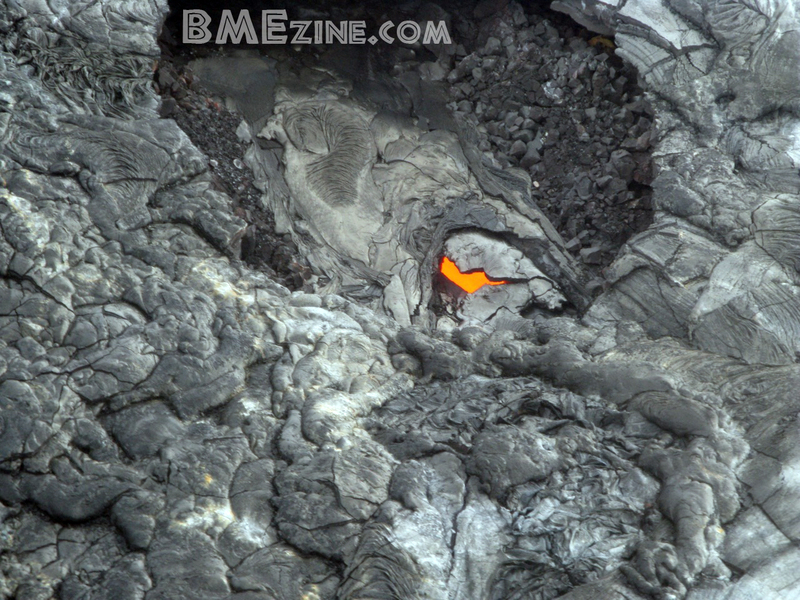 Norm and I took a day trip to the Big Island of Hawaii to take a helicopter tour of th active volcano areas. There wasn’t as much active lava flow as we thought there would be but during the tour there were spots that would break open and expose the molten lava but by the time we’d swing around to take another photo, it would get hit with rain and cool down an turn black in seconds. It was amazing. I don’t remember exactly what day it was this week but Norm and I decided to drive from Kehei to Paia. Once we got there we thought we’d drive to the first roadside waterfall that we could find. At each waterfall we decided to go to the next one until we were finally in Hana. One blink and you could have missed the town entirely. We refilled the gas tank and decided to be adventurous and take the road that the maps said were dangerous. It ended up being an amazing one lane unpaved road heading the opposite way back around the island that we’d come from. I’ve been to Maui several times and had not taken the drive out to Hana. The scenery alone was worth the 3-4 hour drive. If you have a reason to come out to Hawaii, I suggest you do! Norm was surprised to find that his septum was still at least a 00ga. Click through to see more photos from our trip and the rest of this amazing tree. I’m still in beautiful Hawai’i for another couple of days. Some of you may have noticed that our billing is down. Someone has been successful in getting all of BME’s merchant accounts deactivated and I’m working to resolve the situation. While this happened on Wednesday, it’s now the weekend so it most likely won’t be resolved until after the Thanksgiving holiday. I’m not going to let anyone’s accounts expire. If your IAM page comes up for renewal, please email Jen at [email protected] and she will add more time. BME accounts will not expire so enjoy the free time you’ll be getting with your account until we get the billing issues resolved. BMEshop won’t be able to accept any orders during this time either. I was planning on having a huge Black Friday sale so hopefully we’ll be back up and running by then so you can enjoy the holiday savings and stock up for Christmas. I’ll be getting a couple posts up over the weekend but don’t forget to take a look at this weeks video interview with Henning Jorgensen which is the third episode in BME’s new video interview series. I can’t wait to get back home and work on the rest of the videos we have in the queue. There should be a ton of photos from my trip with my traveling companion and tattooer extraordinaire Norm which I’ll post over the weekend once I’ve got them all prepped. For now, here’s a quick shot from in the pool. I blow pretty sweet bubbles out of my nose. It’s only a 30 gauge needle! I took the post from my IAM page and I’ve made some changes to it so it would be relevant to post here so that more people could see it. As an update, I’m experiencing fairly heavy side effects from them but I’m hoping that the good outweighs the bad. Most people assume that since we’re heavily modified that it’s easy to give ourselves shots. The other thing that I am interested in finding out is if my injection site reactions will differ in the 6 areas that I have to inject myself that are tattooed. Does anyone else have experience with interferon injections and tattoos? I know that my healing abilities are nonexistant so I have slowed my tattooing down to once every 3-4 months because it usually takes about that long for new tattoo work to properly heal as well as I don’t want trigger my body into having a relapse. Please let me know your experiences with injection therapies (MS related or not). I’d appreciate hearing from you! “I made this video just few weeks ago to help explain the process of giving myself an interferon injection. I did the prep and injection part in under approximately 3 minutes, while talking through it. This is only the third injection I had taken and the FIRST ONE that I’ve done myself. I have been diagnosed with MS since the summer of 2007. I first noticed paralysis in my right side during an endurance race when I used to drive race cars pro-am. It spiraled from there into what doctors think was my second major relapse. The first was when I lived in Mexico about 2 years prior and went misdiagnosed as a brain infection. I have then suffered about 5-6 relapses a year lasting around 3-6 weeks each time. They ranged from partial paralysis to blurry vision to electric shock feelings when I moved my head, as well as a constant pins and needles sensation in my skin. The symptoms in each relapse don’t tend to go away with my type of MS. They just keep hopping on the pile though sometimes they lighten up. I have been in a state of denial until recently when I lost my vision for 2 months. I had gone from a fully independent woman to needing someone to help me do household chores, drive places, pick my daughter up from the bus stop and all sorts of things one would think a 29 year old should be able to do. As I say in the video, my doctor said by this time next year I will be severely handicapped at the rate I’m going. After some time waiting I was finally sent my prescriptions and again it sat around in the house for a couple weeks before I mustered up the courage to ask my husband to do the injections. We watched the DVD that came with my kit. We both heckled and mocked the people in the videos because they don’t seem real. They didn’t have a sense of fear or worry or dread, which is why they just didn’t seem real to me. They’re probably very experienced with the treatment, but I’m not. I decided to make this clip, hoping that maybe someone who was recently diagnosed would see it and it would help them to start their treatment immediately instead of being like me and allowing more and more lesions to form across their brain and spinal cord. I don’t want to go blind. I don’t want to be in a wheel chair. I don’t want to lose my independence. I don’t want that for you either and I hope that this helps in some way.